With all of this white house hubbub, you can bet 2015 will be a very popular year for political costumes. 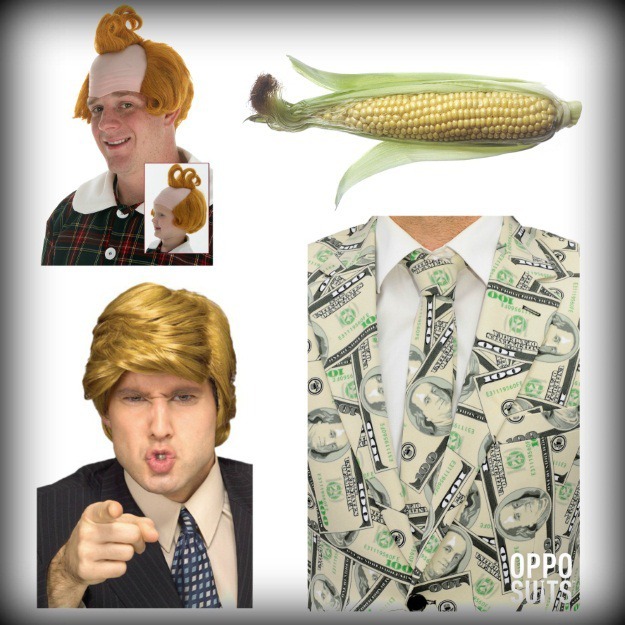 Since we are always campaigning for you to be the best dressed costume party attendee, here are five helpful political candidate DIY costume tutorials to get you started. 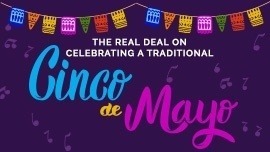 Four more beers! Four more beers! 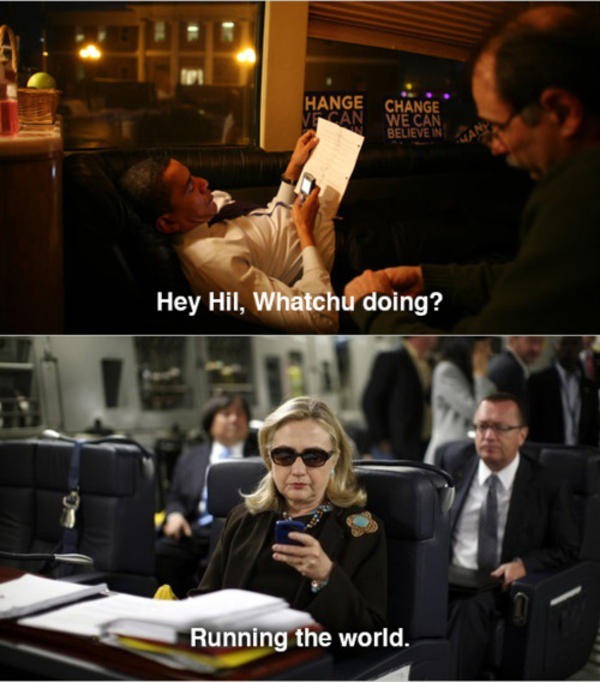 In the "Texts from Hillary" meme, it seems Mrs. Clinton is taking a page from the Beyoncé playbook: "Who run the world? Girls." 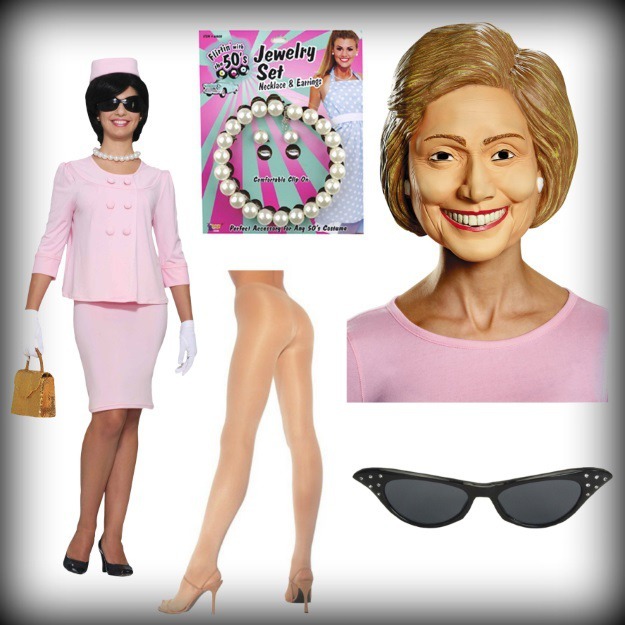 if you're a take charge chica who won't settle for puny positions like First Lady or Secretary of State, and will only rest when you're at the top, then a Hillary Clinton costume may be the perfect fit for you this Halloween! 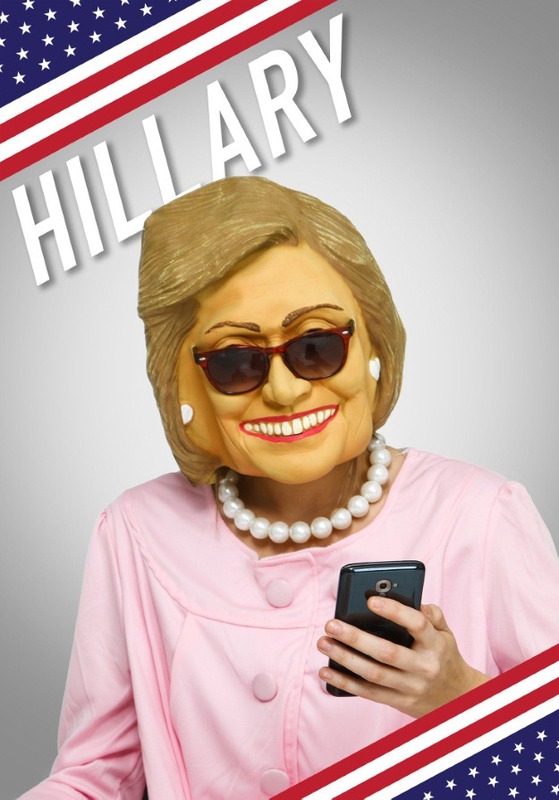 We did our best to recreate the meme by giving Hillary a smart phone, and punching small holes into our latex mask so we could slide on a pair of shade-throwing sunglasses. Another easy and appropo prop to carry with you on Halloween night would be a sheet of emails from your "private" server! 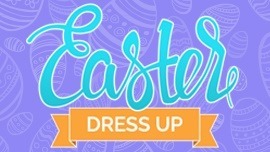 We completed the look with a solid color skirt suit and opaque pantyhose. 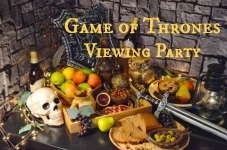 The juxtoposition of Bernie Sanders' white-haired, "institution politician" appearance, to his fiery messaging and hip, "feel the bern" campaign slogan, has been bringing Mr. Sanders a lot of attention over the past several months. It's safe to say that as Bernie's campaign picks up steam, one person that is definitely "feeling the bern" is Hillary Clinton! 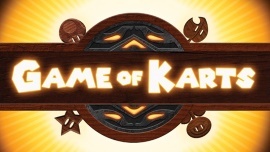 We thought this growing friction could create Halloween sparks as the perfect couples costume. 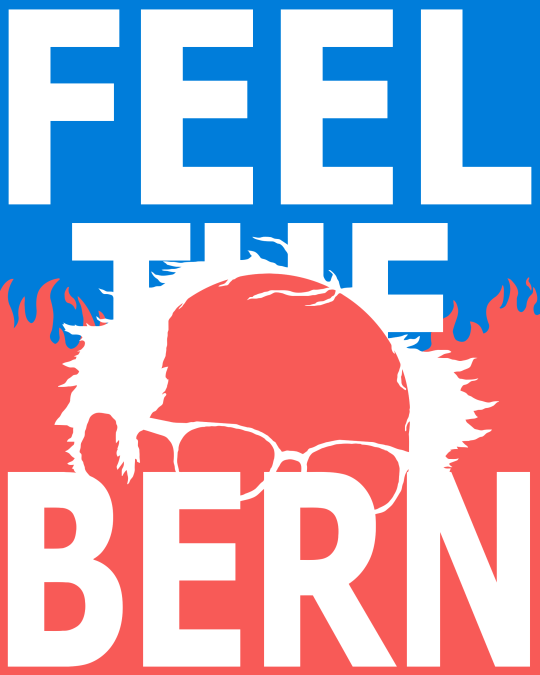 Nothing drives a point home like being literal, so if you want to make sure your friends and fellow partygoers know you're trying to recreate "feel the bern," carry around some fire! 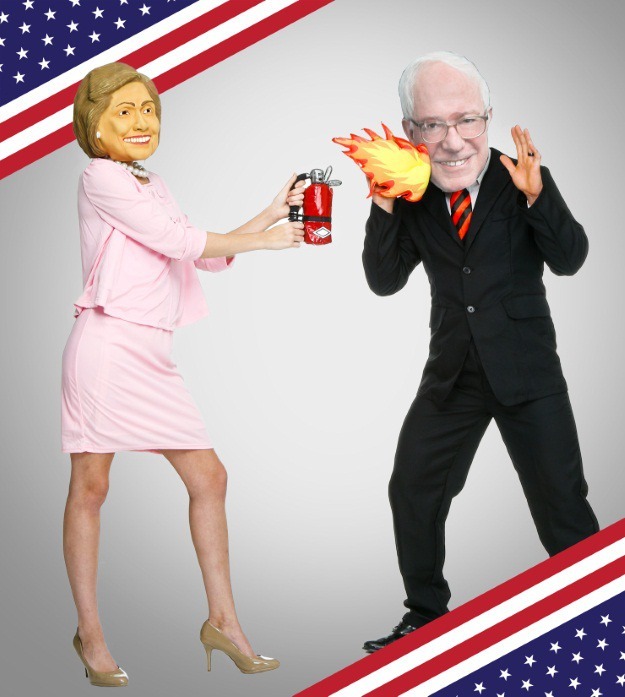 We outfitted our Bernie with a custom jumbo mask and a fabric flame accessory, and gave our Hillary a fire extinguisher purse to combat the heat. How do you know when the American voting public is fed up with the current political system? 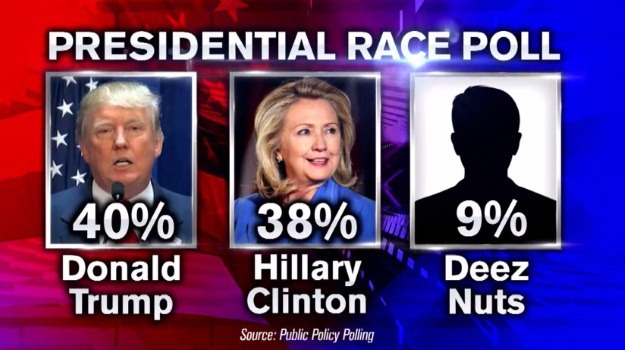 It's a pretty good indicator that's the case, when a mysterious write-in candidate named "Deez Nuts" receives 9% of the public vote in Iowa, as was the case earlier this year. In fact, Deez Nuts is already on the ballot in 30 US states. 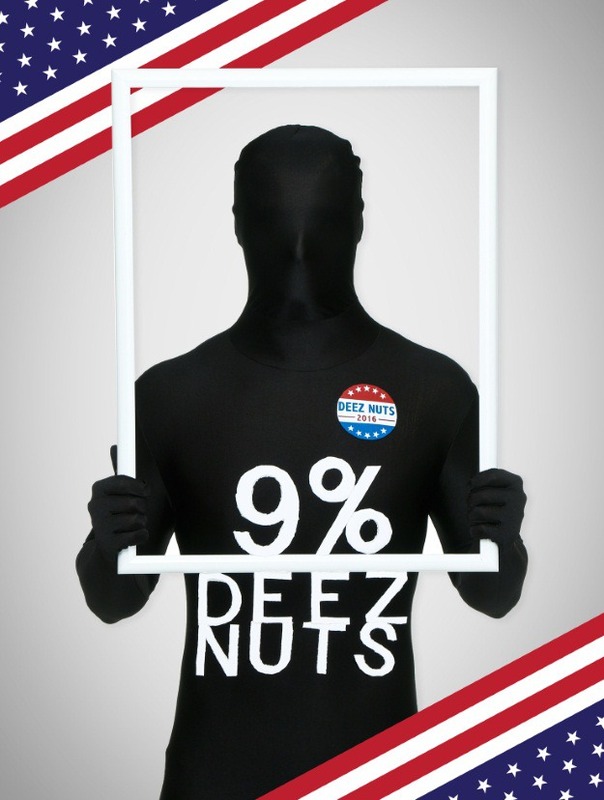 If you want to dress as a political symbol of "something really needs to change," the mysterious Iowan "Deez Nuts," here's how! 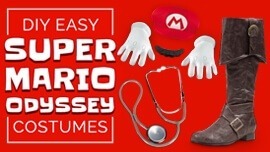 Assembling this costume is super simple, provided you're good with an exacto knife! We purchased an inexpensive white picture frame from the craft store, along with a sheet of white craft board. We cut out each of necessary numbers and letters from the craft board, and hot glued them to the frame and/or to each other. 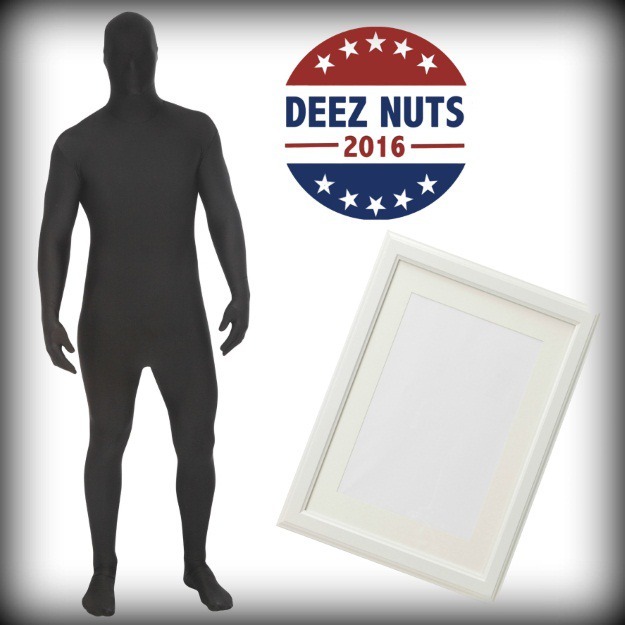 Lastly, we found a free image for a "Deez Nuts" button, printed it, and adhered it to the morph suit with double-sided tape. 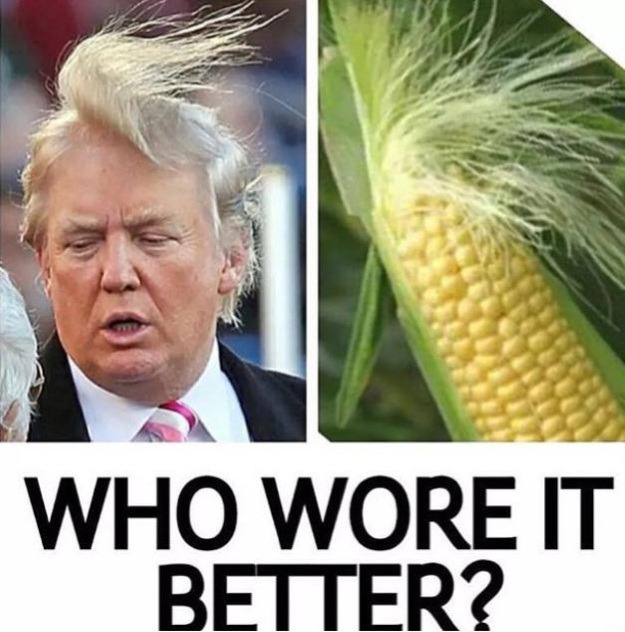 Usually it's a compliment when someone tells you you have silky hair, but in the case of this Donald Trump vs. corn meme, we don't know! 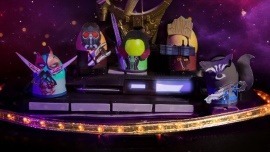 (Leaning towards not so much.) In either case, this would still be a very funny spin on a Donald Trump costume, one of the hottest Halloween choices of the year. We've already sold out of our men's billionaire wig [pictured below] twice, and it's not even Halloween yet! 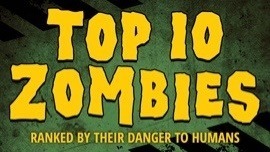 If you want a costume guaranteed to be a hit this year, then go with this idea...IT'S GONNA BE HUGE! Putting together this Donald Trump look is very simple - the hardest part will be perfecting that signature, pursed-lip expression. 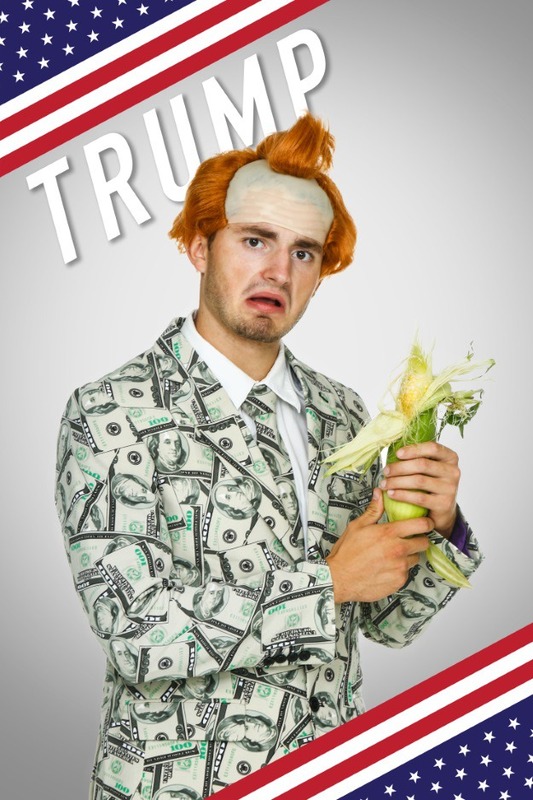 We used our men's $100 bill OppoSuit as a base, and styled our munchkin mayor wig for the hair. 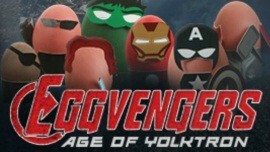 Though, we suppose it was really more like un-styling it. We then literally went to a grocery store and bought a single ear of corn. It was awkward, but it was worth it. 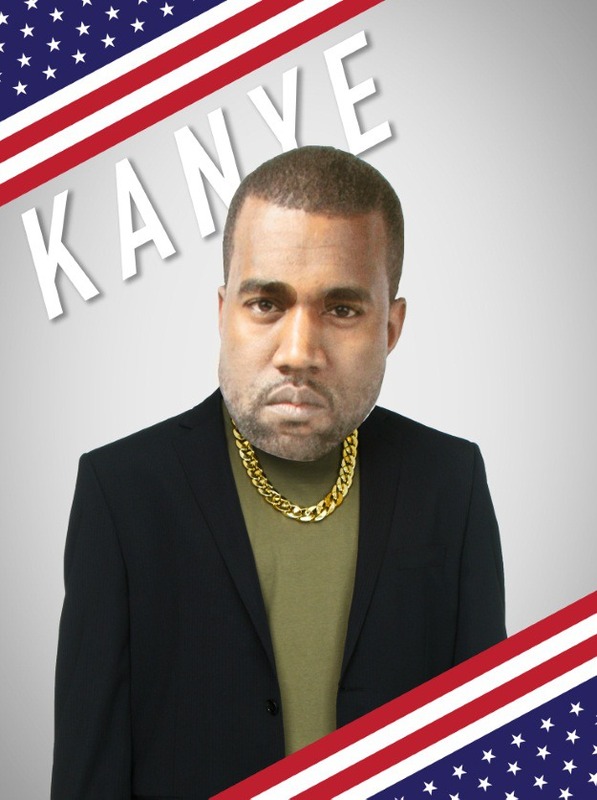 That Kanye...when he isn't interrupting speeches at the VMAs, then he's giving speeches of his own at the VMA's! In this year's speech, while he was accepting his Video Vanguard award, he also dramatically announced his plans to run for president in the year 2020. 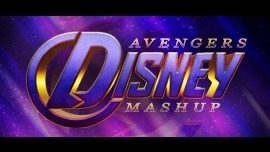 Of course this instantly inspired memes, Twitter campaigns, and even pumpkin patterns! Anything that viral automatically becomes a safe bet for a popular costume choice. This look is easy and can be assembled however you like, provided you use a few key accessories! 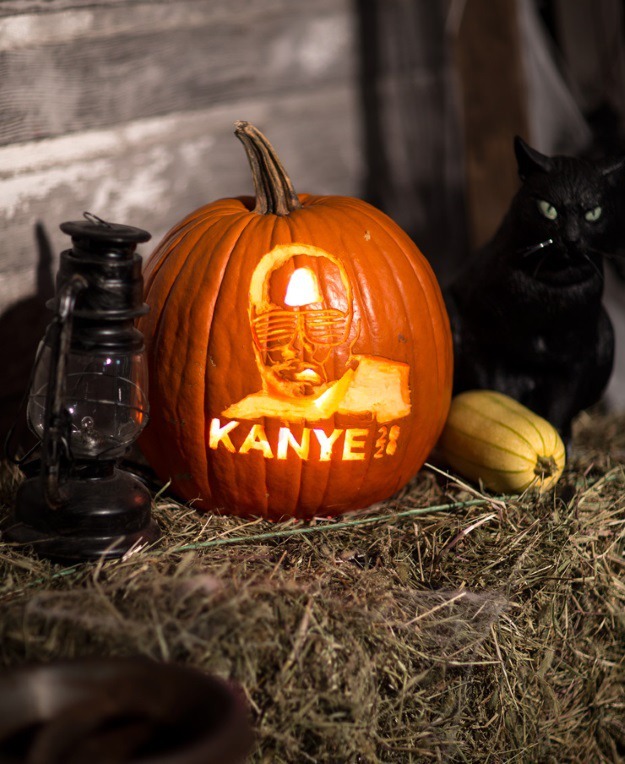 One must-have is a custom Kanye mask. 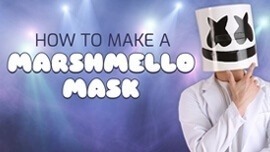 We created ours with our custom mask creator, linked below. Another staple is an oversized gold chain. 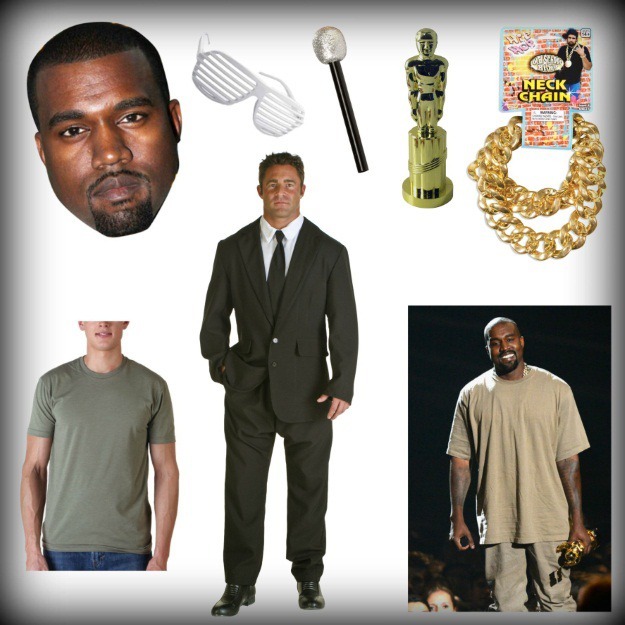 A microphone, ladder shades, and a golden award statue would really bring your Yeezus look home, but the details are up to you. 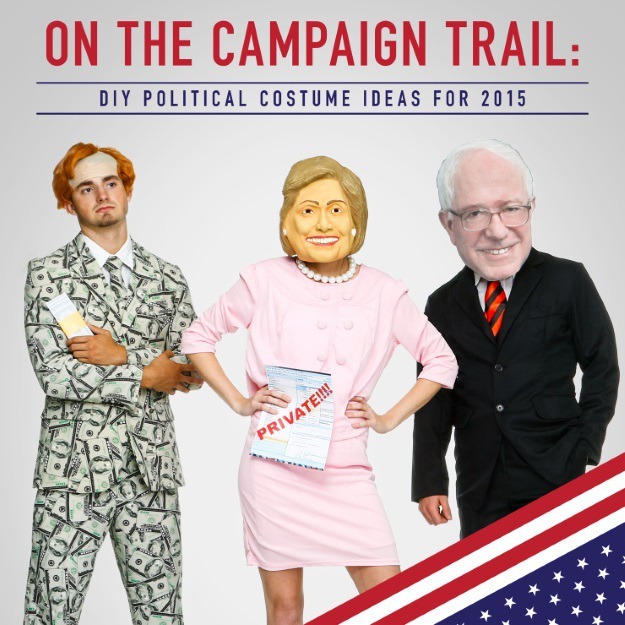 Who gets your vote for best DIY political costume of 2015? Will they also get your actual vote come next year? If you dare discuss politics, feel free to let us know in the comment section below! 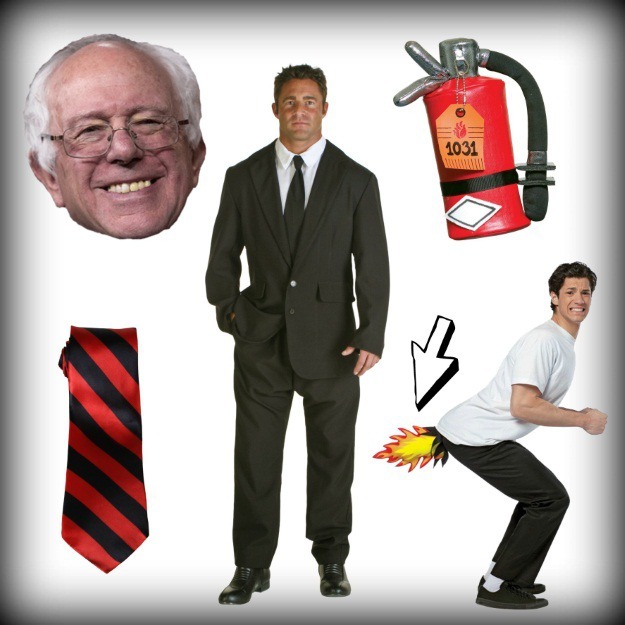 If you're not all about the DIY life, feel free to shop our selection of ready-to-wear politial costumes and accessories, HERE.